Alcohol addiction is a global burden. In South Carolina, many people suffer not only from the effects of addiction but also from the stigma that often follows. 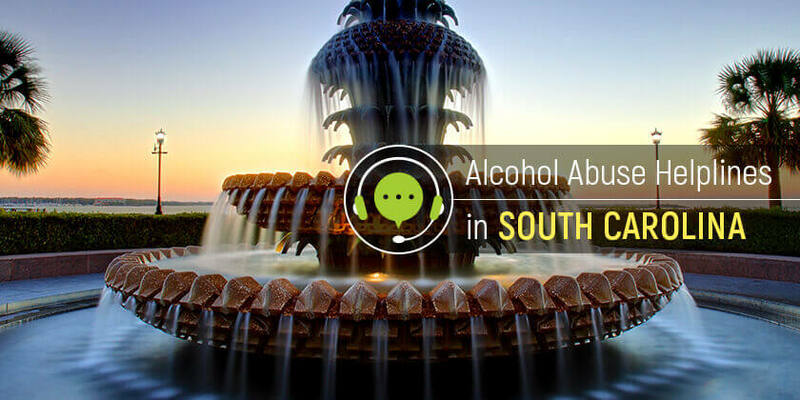 Get access to the appropriate support and treatment services in South Carolina by calling these alcohol abuse hotlines. Delphi Health Group offers callers information about alcohol treatment and provides treatment services in any of the group’s facilities across the state. Call the alcohol helpline at (866)-520-2708 to get access to these services, which are almost always covered by insurance. Remember, calls are toll-free and treated with 100% confidentiality. Contact Delphi Health Group 24 hours a day, 365 days a year. South Carolina Department of Alcohol and Other Drug Abuse Services can be reached through the alcohol hotline number 803-896-5555. Representatives provide alcohol treatment information and appropriate referrals to alcohol abuse treatment, recovery, and prevention service centers throughout the state. Call the National Helpline 1-800-662-HELP (4357) for information about alcohol treatment and referrals to alcohol treatment and rehabilitation facilities in South Carolina. Call center agents can be reached to provide answers to questions any time of the day, and any day of the year. Do not hesitate to contact the medical professionals in case of an emergency. Connect with the alcoholism treatment experts in South Carolina and learn more about achieving alcohol-free life.